Hello! I’m so glad you made a stop by my blog on your search for end-of-year recaps. I have been MIA a lot lately because we are so busy at work and at home. I have had a couple of days over the holidays to almost do just what I wanted, and a few hours were dedicted to sewing. As I think about 2015, I plan to make it the year of the FINISH. That will be my word for the year. It also goes along with my resolution to myself, and as a family, to watch our spending this year and save more. As the kids get bigger, the wishlists get more expensive. Vacations are more expensive. Toys are more expensive. Eating out is more expensive. Eating in is more expensive. Etc. We can’t eat my quilts and I can’t craft a treehouse out of them either. Well, maybe the canopy on nice days. The top two you haven’t seen from me before. The top is Sunshine and Silver and it literally took me just a few hours to put together. Pattern by Shabby Fabrics. The one in the middle is the Somerset Fig Tree challenge quilt that Joanna of Fig Tree & Co offered in November. You had to use a mini charm of Somerset and Aurifil thread from the special thread collection box. I’ll share the full picture of that quilt when it is quilted. The bottom one is Harvey with American Jane fabric collections. Next group … On the left is MODA Love pattern with American Jane and my own Fig Tree mini sampler quilt. What else? I finally cleaned up my sewing space and installed a new bobbin rack that I got waaaay back in March. I love, love, love it! I also got these two oversized wooden Buttons for a Christmas gift to decorate my corner space. LOVE them too! Here is the space all put together. I can’t wait to hang some mini quilts in the open spaces around the bobbin/ruler racks. What’s left? I will work towards my finish on Reach for the Stars quilt and hopefully make a new ironing board cover. For now, that’s already an aggressive list for the entire 2015 year. I’m sure another project or two will slip in though (AYOS anyone?). I’ll leave you with a picture of our sprightly, relatively new, kitten. She’s already about 6 months old. I found her outside my office building a few months ago. Very healthy, great energy. We love her. Her name is either Violet or Velvet, depending on who you ask. Have a very SAFE and HAPPY New Year holiday weekend! I’m so appreciative of all of you who stop by and thank you for comments that you leave. See you in 2015!! Happy New Year, Jennifer! And welcome back to Blogland. I have missed you! 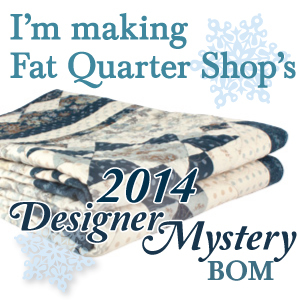 This is a great post, full of wonderful quilts you’ve made and other good things. I’m impressed with your reorganized sewing space, and your new black kitty is a darling! Thanks Dawn – Happy New Year to you as well! Oh my goodness what a lot of wonderful quilts! Hi Julie! Thanks for the wishes! I browsed your posts as well and I think you did a great job on your daughter’s quilt, even with your adjustments – turned out wonderful! You had a productive year. Look at all those quilted quilts! How did you quilt Nantucket? I have the top finished but haven’t worked out how to quilt it yet.